Towns can have very different reasons for wanting to implement a plastic bag ban, but the path most towns take to ban bags is strikingly similar. If you are thinking about banning plastic bags in your hometown here are three steps to start the process. Getting a plastic bag ban started requires a lot of work, but the benefits definitely make all of the labor worth it. Each town, city, municipality, county and state have their own laws, so learn what the law of the land is and build your plan around it. 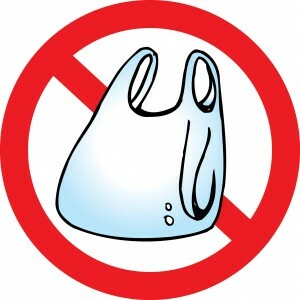 For instance, in British Columbia a plastic bag ban can only be implemented by the provincial government, so even though there is strong pro bag ban sentiment in Vancouver the city cannot pass any type of law that bans plastic bags at the city level. By comparison in order for a town to pass a bag ban in California they must first conduct an Environmental Impact Report (EIR) to fully assess the impact of a ban. Taking the time to research the rules and regulations in your area will allow you to lay the groundwork for a successful plastic bag ban. Build Your Campaign and Start a Movement. A plastic bag ban needs a tremendous amount of support from residents and local businesses. You need to freely distribute the information around why you feel a plastic bag ban is necessary and your plan for making it a reality. Keeping everyone looped in will ensure everyone is involved and knows what is going on. You also need to be prepared to handle opposition, and there will be opposition. Look for ways those opposed to your campaign may criticize it and tailor counter arguments to build into your plan. Get on social media and reach out to the public to outline your plan and get everyone informed and excited. Work with Your Local Officials. Get in touch with your mayor, council members or state representatives and explain to them what you are trying to make happen. You need to get a representative on your side, so they can introduce the measure in the appropriate forum and work to make it happen. Once you have completed your research and determined the best plan to action you can follow up with your elected officials and get them involved and work toward making your hometown free from single use plastic bags. Starting a plastic bag ban is exciting and can be incredibly worthwhile. Following the steps of researching your options, creating a movement to garner public support and working with your local officials will get things underway and closer to making single use plastic bags a distant memory. Good luck and make sure to let us know when your plastic bag ban goes into action so we can add your location to our bag ban map! Next Next post: Why Do Single Use Plastic Bag Bans Fail?